(CNS): The Cayman Islands Airports Authority has made it clear that it does not support any moves to privatize the airport in the wake of comments made in the recently published Miller Report. The Chairman of the CIAA Board of Directors, Norman Bodden, has said not only does he not believe the government would support such a move it would also have to be cleared with the UK. Bodden also denied that the airport has received any subsidies as suggested in the report and pointed out that this year the airport actually gave the government CI$7 million dividend payment rather than costing the treasury anything. “I doubt very much that the Cayman Islands Government would condone or consider relinquishing the control of airports in the Cayman Islands to any one individual or entity which could result in creating a monopoly of our airport business. Furthermore, I believe that the UK’s civil aviation authorities would also need to be consulted,” Bodden said in a statement released by the authority on Tuesday evening. In his report Miller and his co authors David Shaw and Kenneth Jefferson had recommended that Owen Roberts International Airport could be privatized, which would give government cash from the sale and save it an additional CI$8.7 million per year that it now provides as an annual subsidy payment. However, the CIAA said that this is incorrect as the CI$8.7 million referred to does not represent an annual subsidy payment to the Authority but money collected from government departments for specific services. 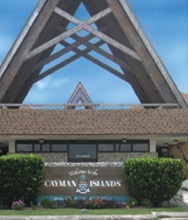 The CIAA said it does not receive any subsidy from the Cayman Islands government. The revenues collected by the authority are rent, utilities, parking, landing and passenger fees from various government entities, including the Department of Immigration, Customs and Cayman Airways that use the airport. The authority added that privatization of the airport would obviously not eliminate theneed for those government entities to pay these fees. In his report Miller noted that the airport made a profit but that it relies on government fees. "This enterprise is profitable, though it depends on Government payments. A private company could bring operating efficiencies and capital needed for improvements," Miller wrote. He adds that without public revenue contributions, the authority would be running at a loss and goes on to say that the airport might be worth around US$20 million. Miller then suggests government would save an additional CI$8.7 million per year if it sold the airport, that it now provides as an annual subsidy payment, a point the CIAA denies. Although Premier McKeeva Bush had said recently that he supported the findings of the Miller Commission and the subsequent report, the CIAA said that the premier had told the Foreign and Commonwealth Office at the meeting in London earlier this month that, while he believed that partnerships with the private sector could help with improvements and the expansion of the airport or the seaport facilities, he did not support divestment of those key assets or relinquishing any control to private enterprise. The CIAA added that it wanted to assure the public that the authority is committed to continue to function as a viable business entity and to exercise fiscal prudence and profitability, while maintaining a safe and secure environment for all airport users. So, since every other day a new question is raised about the factual accuracy of the Miller/Shaw report, how many problems do people have to find in it before it can be abandoned as a bad apple and we do the process over properly? I mean, really, if you can’t get simple maths right how are we supposed to trust the scenerios they claim to have worked out? Why would we implement their recommendations when the basis of those recommendations is wrong? It would be like building a house upon sand and thinking it rock. This is MacKeeva’s report and all his ideologies!! They not even included the previous Government that knew what went on for the last 4 years, so it is a lopsided report and puuuuuure UDP propoganda. Wait until you see the budget….That should be interested. You all get on my nerves because either you can’t analyze a situation, or you’re just plain ignorant or stupid. Forgive me but I have no patience with ignorance. The Miller’s REPORT IS MCKEEVA BUSH’S REPORT! He just hired a mouthpiece to deliver the message. Miller is the messenger boy! You all really do not understand politics do you? Let me let you into a political secret.. when leaders want to do what they have been threatening to do but faced opposition from the public. THEY HIRE A MESSENGER BOY LIKE A FINANCIAL CONSULTANT. He’s getting paid thousands to tell you and me what Jefferson is already being paid for to do. and the Waste goes on ! The airport makes money on Cayman and the Goverment hasn’t yet figured out a way to steal it? Amazing!!!! Whoever is in charge get ready to be criticized. Bush! Look! Money! Cayman Airways has been Government owned since December 1977. Where have you been? Thanks for your input. You can go back to sleep now. Does anyone know whether Miller was told of the tens of millions of dollars in "deferred" duty payments (concessions) granted to a certain large hotel development? Why should theAirport Authority which makes money for government be privatised when far more money could be obtained simply by collecting the duty that is still to be paid? Tens of millions there to be collected but no politician seems willing to ask for the money that is owed to this country. Who owns condos there anyway? I’m sure that it came up. Just look at the list of people Mr. Miller spoke to while drafting his report. I’m sure at least one of them in particular mentioned it. We know we can rely on the report with sources like that. Sort of discredits the whole Miller Report makes it look like a farce. How in the world could highly touted individuals and our own highly paid Financial Secretary make this blunder? Just another waste of money that we are told we cannot afford at this time. Let us hope that the Brits can apply basic mathematics in their addidtion and subtraction and let us know the true position of our finances. Would’nt it be something if it is discovered that we actually do have some money? To: Submitted by Anonymous (not verified) on Wed, 03/24/2010 – 11:18. I’ve been wondering about this myself. One has to wonder if Miller got anything right, except perhaps his fee. Why listen to a foreigner at all. Just keep listening to your leaders. Isn’t that the most important thing? Of course it is. Tell your leaders (if they still listen to anyone at all) to just do what they think is best and you will back them no matter what. However, to see how poorly he paid attention to the terms of reference you need to read it for yourself. I found it particularly interesting to see how the Premier tried to lead him down the path of suggesting "gaming" as a revenue measure. Maybe Miller is waiting for a follow-up contract. The Miller report was another one tothose wastes of money that got us in the position that we are in. There are several organs of government that make a profit and it is very short-sighted to consider selling any of these profitable areas of government. For Miller to recomend this shows a complete lack of understanding of CIAA and causes one to wonder as to the accuracy of any of the report. The CIAA gains revenue by charging for service provided end of story. I wonder why the Financial Secretary Kenneth Jefferson would not have known this? He supplied the Info. How much input did the Financial Secretary actuall have in the Miller Report? Please tell us Mr. Jefferson. "Commissioner Jefferson facilitated greatly the work of the other two Commissioners by providing various materials that were requested. But the Report was written by Commissioners Miller and Shaw, and they alone — not Commissioner Jefferson — should be held responsible for the contents of this final report."